In ‘Gynoid’ I’m exploring movement and manipulation, as well as the relation between the machine and the human body, through hula hoops. How is our body affected by the props and tools, that we use every day? If our body is the main tool, the machine, what can influence and radically transform its appearance and purpose? All photos were taken by Jonathan Green, at Mowlem Studios, London. 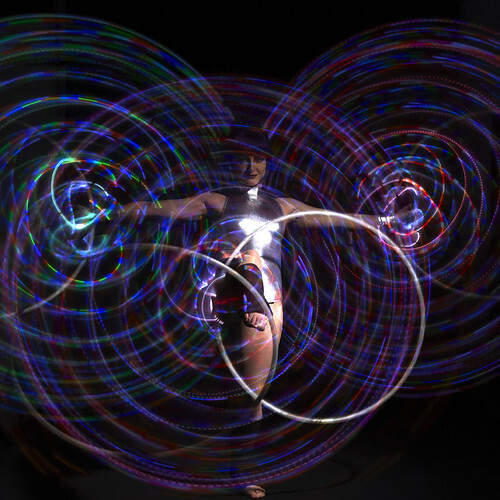 The following shot got us a feature on Hooping.org, the online hub for the worldwide hooping community. You can watch the trailer for ‘Gynoid’ on my Vimeo page here. Many thanks to Jonathan Green and Damian Pajak for doing such a great job and making it a really good fun experience too.